Any Nintendo Switch owner who was worried about Blue Toad not being included in Super Mario Bros. U Deluxe can rest easy knowing the blue-spotted character can still be played as. Blue Toad proved to have quite the fanbase when there was some discussion about whether or not he’d be included in the new game. 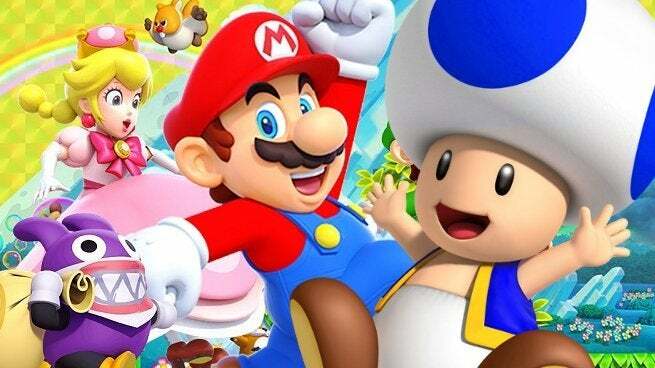 Characters like Toadette and Nabbit made appearances, but Blue Toad was an uncertainty. With the game now available, Nintendo has confirmed that the Blue Toad variant is indeed in the game as a playable character. The official Nintendo of America Twitter account shared the quick guide below to show people how to find Blue Toad. All it takes is hovering over Yellow Toad and pressing the “L” button, and you’ve got yourself a Blue Toad. Since Blue Toad was confirmed to be in Super Mario Bros. U Deluxe, people have voiced their approval of the addition, but some have suggested the character might’ve been added late in the development of the game. Yellow Toad and Blue Toad can’t be used at the same time, so it appears that they’re simply color swaps of Toad and not separate characters. Blue Toad also won’t appear in cutscenes, players have found. Super Mario Bros. U Deluxe is now available exclusively for the Nintendo Switch.